"I think people at Sandals Regency were getting a little tired of my new hubby (it takes a lot for him to brag) and I bragging about our amazing travel agent, who actually cares about her clients." 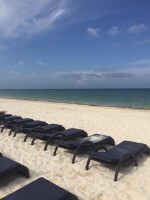 Robyn Ayers and her family spent a wonderful week at Hyatt Ziva Cancun. Read on to hear the highlights of her stay and more about this great resort. Dream agent, Robyn Ayers, arrived at the Hyatt Ziva Cancun today. Read on to hear about her arrival and this beautiful property. Dream Makers Vacation Services Team Member, Kayla, recently returned from a workation in Mexico. 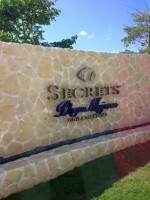 While she was there, she did a site-inspection of Grand Velas Riviera Maya. Read on to hear more about her day spent at this amazing resort. 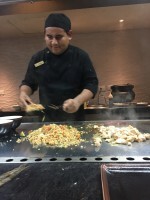 Dream Makers Vacation Services Team Member, Kayla, recently traveled to Mexico for a workation. Read on to hear more about her stay at El Dorado Seaside Suites. Co-owner, Amy McHugh and teammate, Kayla, spent their third and last full day on property at Secrets Playa Mujeres for the Best of the Best awards. Co-owner, Amy McHugh and teammate, Kayla, spent their second day at Travel Impressions Best of the Best awards enjoying the property of Secrets Playa Mujeres. Agency co-owner, Amy McHugh and teammate, Kayla, are traveling to Mexico to attend Travel Impressions Best of the Best awards. Kayla, Dream Makers Vacation Services team member, recently returned from a workation at Royalton Riviera Cancun in Mexico. Michael McHugh, Co-owner of Dream Makers Vacation Services is traveling to Cancun, Mexico for the Hyatt Ziva Cancun Grand Opening Gala. Today, I, Amy McHugh and team member Kayla enjoyed our 3rd day of our Best of the Best awards trip. Read on to hear more about our last full day on property. Today, I, Amy McHugh, and team member Kayla, spent our second day on property for the Best of the Best awards in Cancun, Mexico. Read on to hear more about our trip. Amy and Robyn spent their last day at the GIVC awards touring properties and attending the awards ceremony. Dream Makers Vacation Services spends their second day of the 2014 GIVC Awards learning about upcoming developments for Karisma properties. Dream Makers Vacation Services travels to the El Dorado Royale for the 2014 GIVC Awards.